Equity Mortgage Corporation and Equity Financial Service, LLC. 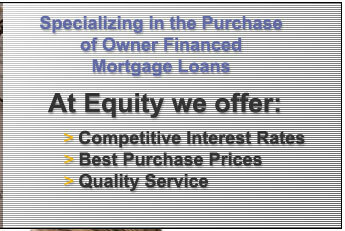 Since 1986, Equity Financial Service, LLC, has specialized in the purchase of owner- financed mortgage loans. Now we are pleased to offer you complete mortgage services. 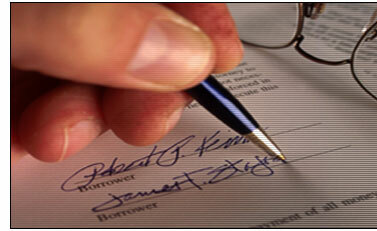 If you need to obtain a new mortgage, Equity Mortgage can assist you. Our expericenced staff is on hand to answer any questions you may have. Call Us Toll Free 1 (800) 682-5134 ©2004 Equity Financial Service, LLC.